Blythe and her very best friends – Zoe the spaniel, Pepper the skunk, Sunil the mongoose, Russell the hedgehog, Penny the panda, Minka the monkey and Vinnie the gecko – are back for five more exciting, not to mention hilarious, adventures! Plus, you'll get a chance to meet some new friends, like a shy tortoise, a spying cat, a famous comedian orangutan, and Pepper's new crush! Who could it be? 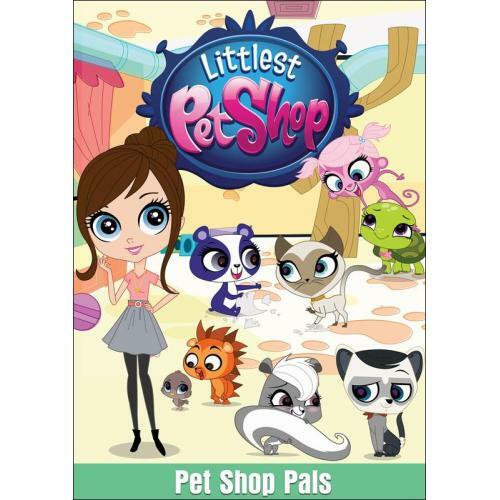 Find out with Blythe and the gang in The Littlest Pet Shop – Pet Shop Pals!